Weekend Mobi 1: The Weekend Mobi 1 is a Mobile Home style Log Cabin. 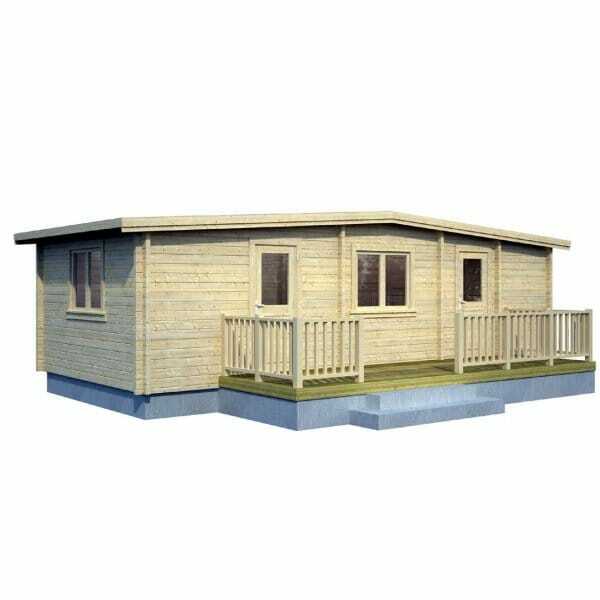 It features Mobile Home Log Cabins Style construction layout with 4 Rooms, the Gudrum Weekend1 Log Cabin is constructed using 70mm Wall logs. It includes roof boards and ceiling boards to create a roof insulation cavity. The floor boards are a very sturdy 28mm Tongue and Groove board. Whilst the Weekend Log Cabins are not offered as being compliant with Home Log Cabin requirements we are able to offer many additions to this Log Cabin to help you to meet your required specifications.